HOW TO RECOGNIZE THE HAND IN FRAGILE X SYNDROME? (GENETIC VARIANT OF AUTISM) – 28 Characteristics! How to recognize the hand in Fragile X syndrome? Alexander Rodewald presented in 1986 the very first ‘phantom picture’ describing the typical hand characteristics in Fragile X syndrome (e.g. including the simian crease or Sydney line). But more detailed ‘phantom pictures’ were never presented after the A. Rodewald et al. (1986) publication. 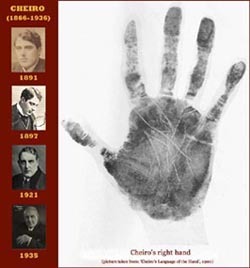 However, this month (february 2010) an updated ‘phantom picture’ has become available – featuring 28 characteristics of the hand in Fragile X syndrome (+ a couple of other hand related characteristics). What are typical hand characteristics in Fragile X syndrome? A common characteristic is the presence of the famous ‘simian line‘; an alternative is the presence of a Sydney line. 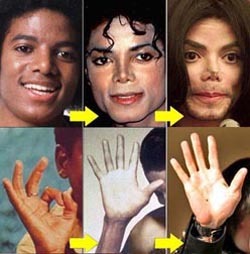 Here one should especially notice the fingerprints of the 3rd finger (and the 2nd + 4th finger); often these demonstrate the presence of ‘radial loop’ patterns and/or arch patterns (the normal ‘ulnar loop’ patterns are less common in Fragile X syndrome) – combined with a ‘transverse’ pattern in the palmar ridge lines in the distal palmar zone. The palm width (hand breadth) is relatively broad, and the palm length is usually a bit short. 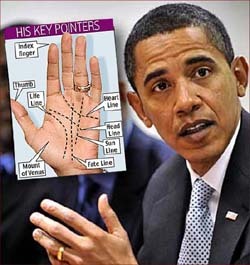 Finger length is relatively long compared to the palm length, but slightly short compared to the palm breadth. NOTICE: The author of the new ‘phantom picture’ for Fragile X syndrome described a specific guideline which states that in most cases of Fragile X syndrome certain combinations of the 28 characteristics are found in both the fingers AND the palm of the hand! How to use the ‘simian crease’ for recognizing Fragile X syndrome? Photo: the hand of a baby hand with hyperextensible finger joints – often seen in Fragile X syndrome.